Arunachalam, S, & de Wolf, R. M. (2017). 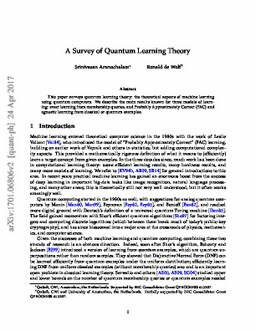 A survey of quantum learning theory. ACM SIGACT News, 48(2), 41–67.